What's not to love about labradorite? It's such a chameleon stone and complements every color and skin tone. 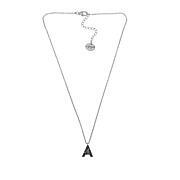 Endless styling options are available with this necklace. 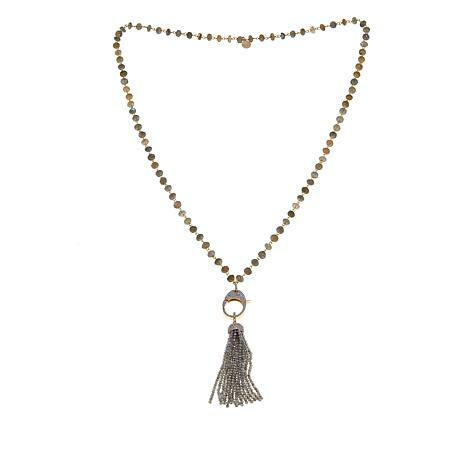 Wear it as a single tassel or add your own trinkets or remove the tassel entirely for a labradorite layered look. You'll love every option. This necklace is gorgeous. 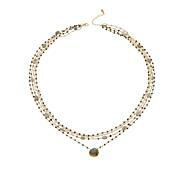 I love that it is neutral in color, but the clasp is sparkly and adds bling. And the stones sparkle and shine as the light hits them. 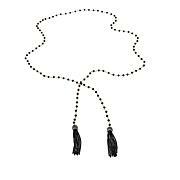 It goes with everything and is my current "go to" out of the scores of necklaces I own. This labradorite necklace is soo full of gorgeous color in every stone, very well made, & unique. It is my new favorite neclace & very versatile. Luv Luv It.